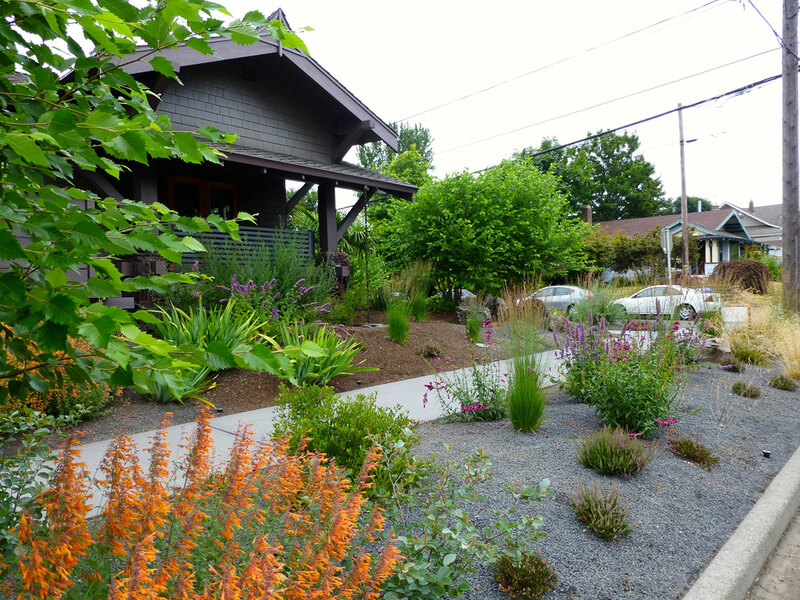 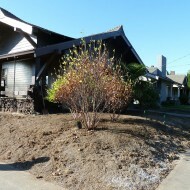 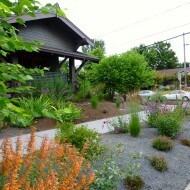 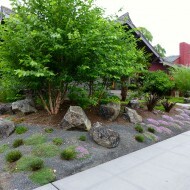 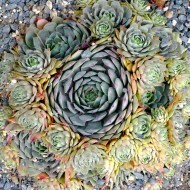 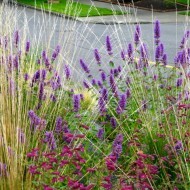 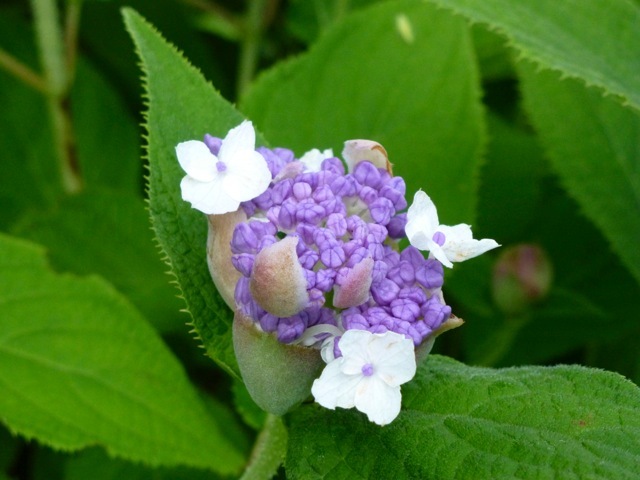 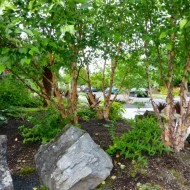 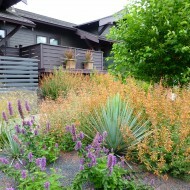 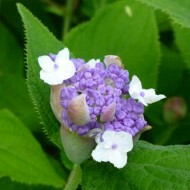 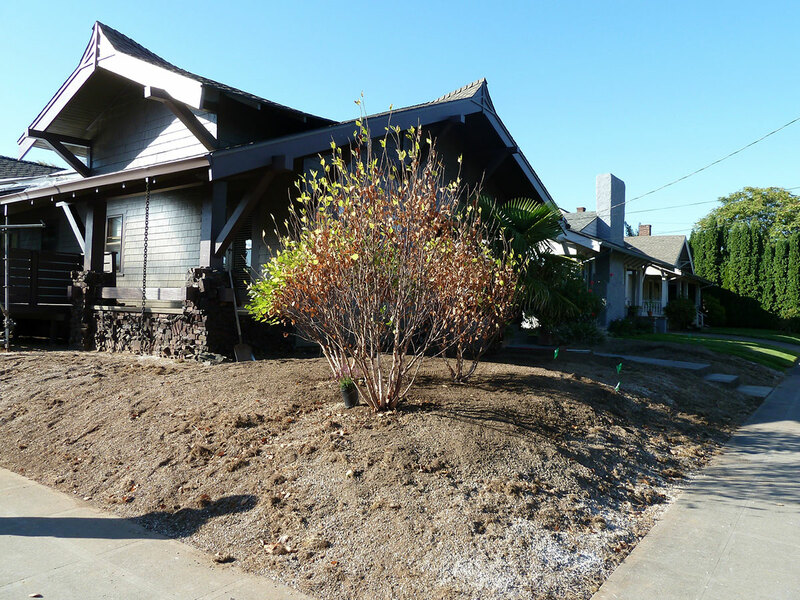 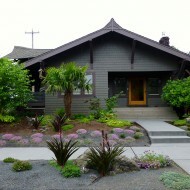 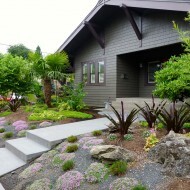 Native Garden – Creative Landscapes, Inc. 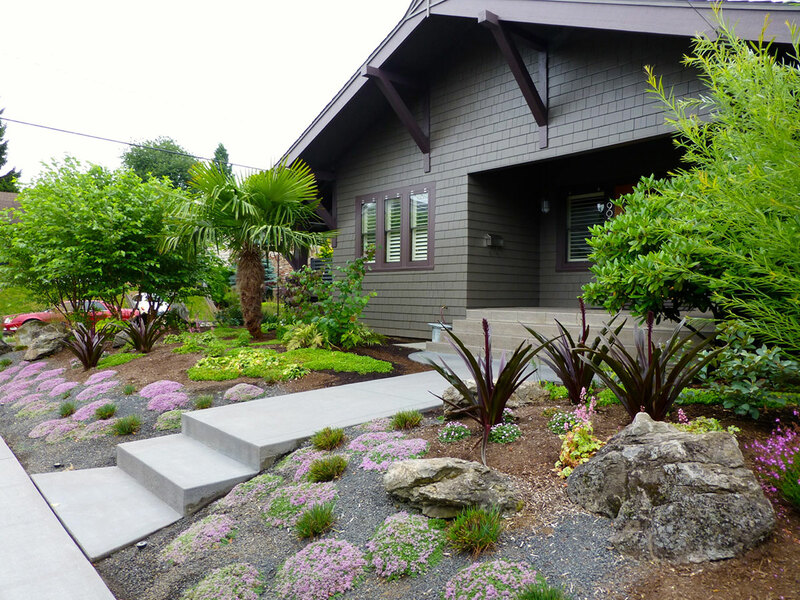 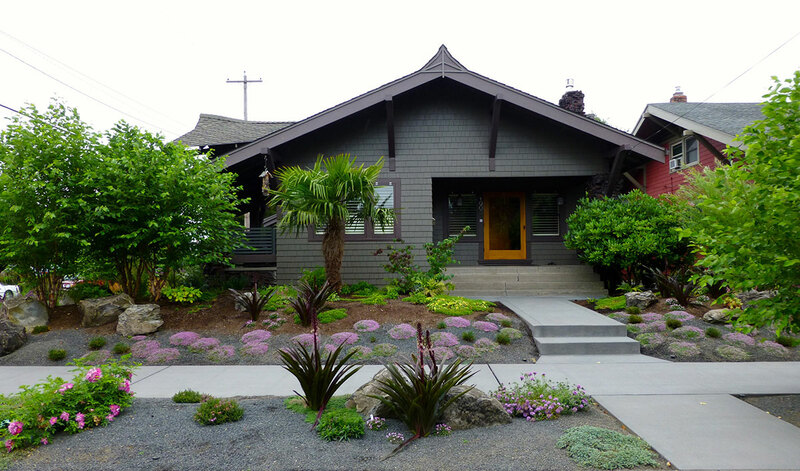 Working with an existing Chinese palm tree and an Asian accented Craftsmen home, this native inspired garden incorporates many indigenous elements of the Pacific Northwest with a more eastern sensibility. 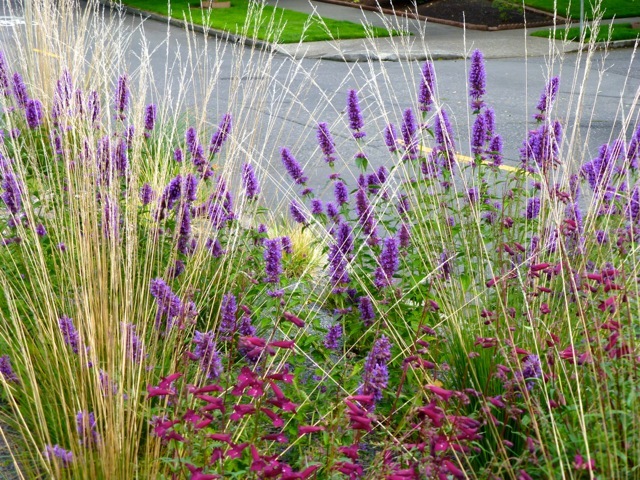 This garden attracts many hummingbirds and pollinators while boasting full, amazing color spring through late fall. 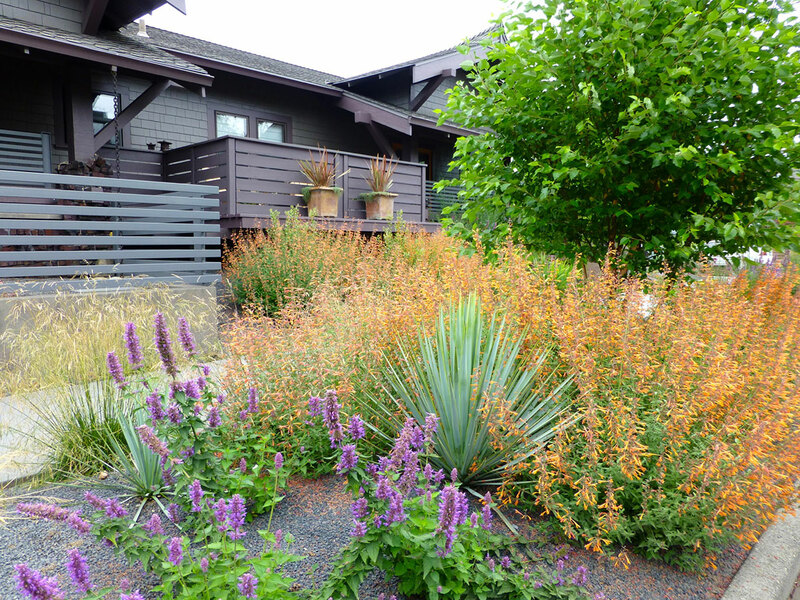 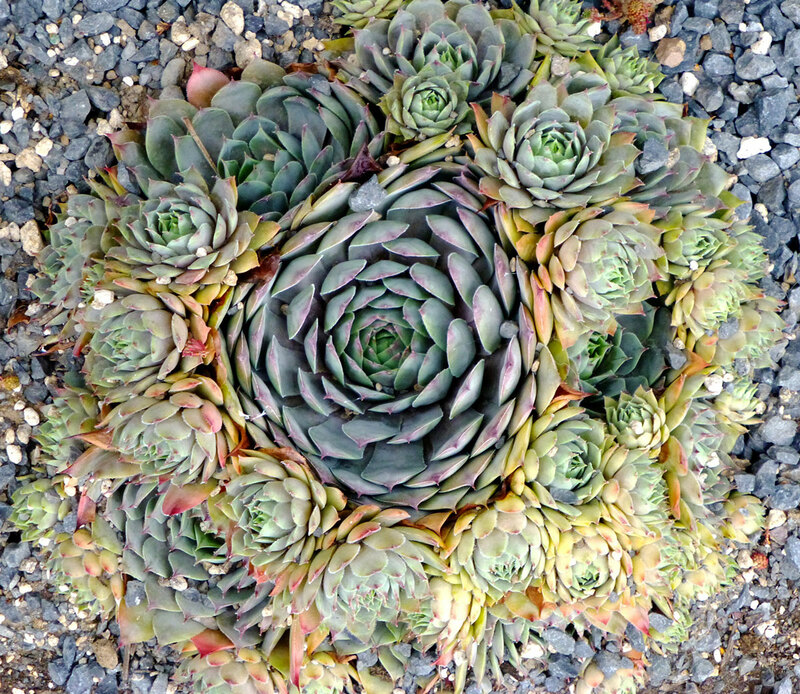 This landscape design fuses traditions from Japanese gardens – such as plant groupings of three or five – with a plant selection that is rooted within both woodland and desert inspiration to represent the state’s rich variety. 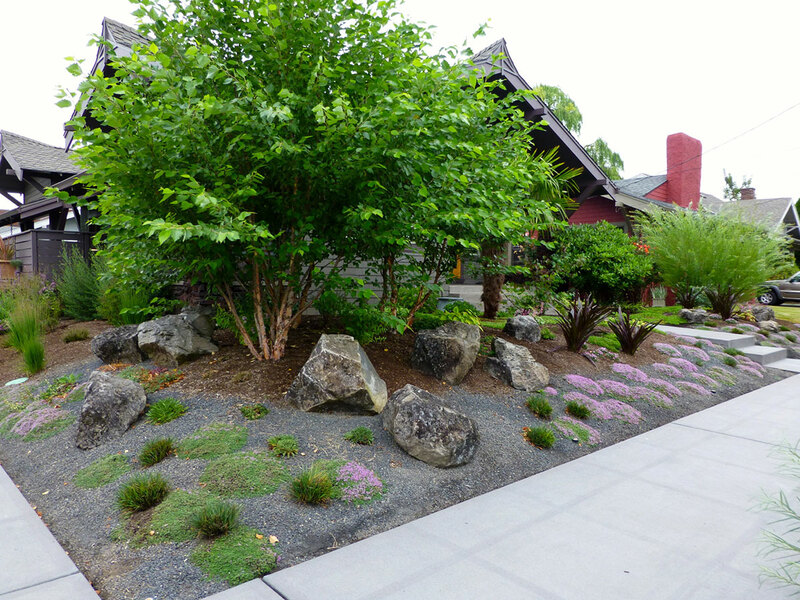 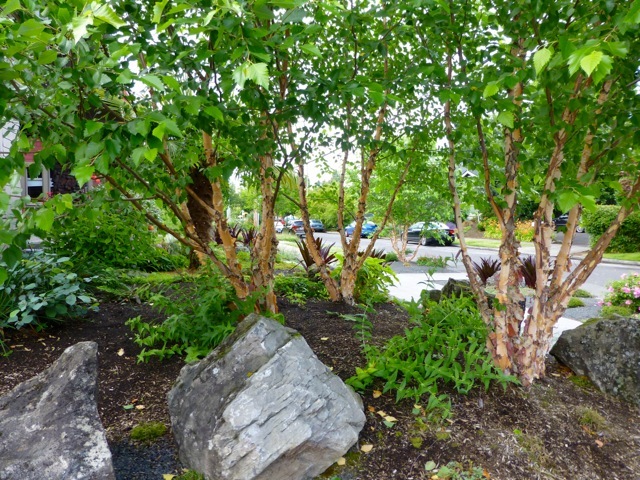 Working around existing rhododendrons which flourish not just in Asia but in Oregon, we used a number of thriving native choices to fill out this sophisticated design.